During each week of this holiday season, we’re highlighting a couple different categories in the Gift Guide to bring our best ideas directly to you. Today we’re talking about Gifts For Her. And for the many special ladies in your life… Maybe she’s a mom. A girlfriend. Perhaps she’s a wife. Does she fancy the finer things, like bracelets and earrings? Or are confetti scarves the extent of her bling? Does she fish? Does she hike? Does she ride a bike? Does she cook? Does she doodle? Does she enjoy a good noodle? Is she acoustic or electric? Perhaps she’s eclectic. Where do you start? How about wearable art? Buying gifts for the ladies in your life doesn’t need to be a challenge. Our Junction merchants can help you to figure out exactly what she wants this holiday season. Start by thinking of the things that she enjoys – like her hobbies and her passions – and work from there. In no time you’ll have checked off your list AND dispelled the myth of the “difficult person to shop for”. Jewelry is the quintessential Holiday gift, and with the amazing selection of bling that our Junction shops stock, you’ll find the right piece to suit any style. Twilight Gallery & Boutique, VAIN, and Carmilia’s all carry artful, unique jewelry made by local artisans here in Seattle. Menashe & Sons Jewelers carries a more traditional selection of jewelry, with a wide variety of earrings, rings, bracelets, and necklaces featuring precious stones and quality settings. For the lady who loves her hobbies, our Junction shops are ready to equip her to explore further and have more fun. 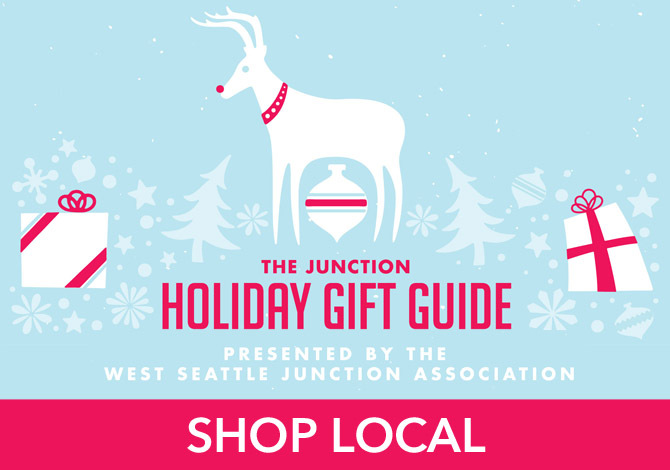 Cooks, outdoor enthusiasts, cyclists, and musicians will love gifts from JF Henry Cooking & Dining, Emerald Water Anglers, West Seattle Cyclery, and Thunder Road Guitars. Each of these stores, while offering very different stock, specialize in one common thing – providing the best quality gear for the most discerning customers. 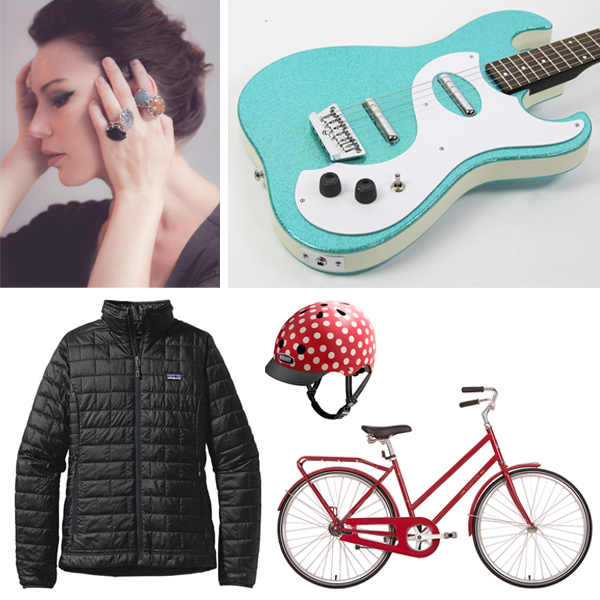 There is so much more to discover in the Gifts for Her section of The Junction Holiday Gift Guide, including more shops and gifts to get your wheels turning. There you’ll also find shopping lists, maps, links, and other fun tips and ideas to help you make-merry this season!